Almost nine years for a follow-up to No More Heroes 2: Desperate Struggle is a long time to wait. 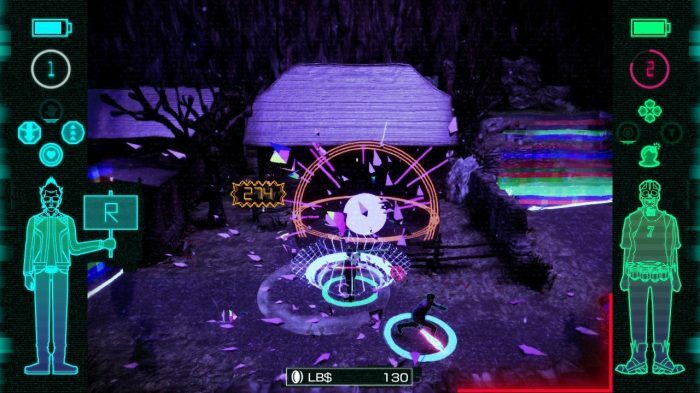 Suda51, the crazy mind behind the No More Heroes franchise, is universally renowned for the zany, outrageously violent and fourth wall breaking titles that stood out from the cutesy crowd on Wii. So it was a great surprise to see the man himself announce a fresh No More Heroes game a couple of years ago when the Switch was revealed to the world. It’s a shame then that a nine-year wait is made even worse when the end product proves to be a bit of a disappointment. Travis Strikes Again is, for a better term, rather striking. Opening with an impressive and colourful cutscene that catapults the signature Suda51 ‘tone’ into your eyeballs, it holds promise. Taking control of the sharp-tongued and foul-mouth Travis Touchdown again, an unlikely alliance with Bad Man (you killed his daughter a few years back) plays out. Travis, along with Bad Man and Jeane – your sparkly anime pet cat – reside in a beaten up old trailer working together to gather and beat video games for the extra immersive console: the Death Drive Mk II. Collecting all of these ‘Death balls’ and the player gets granted one wish. It seems to be a brilliant idea of videogame inception off the bat, but within a couple of hours, the product of Suda 51 desperately trying to show off some weak and unnecessarily show-horned collaborations becomes more embarrassing than impressive. The breaking of the ‘fourth wall’ makes a lazy return, but it’s been done before; you find yourself eye rolling more that you crack a smile. It’s like someone telling the same joke over and over but starting with the punch line. It’s tedious and uncomfortably awkward at the best of times. Save points, like in the original games, are toilets. Travis’ junk is covered by the word ‘SAVE’. There’s a crazy amount of expletives married with jabs at general game development, the struggles of localisation – it’s just not funny no matter how many times it repeats itself. 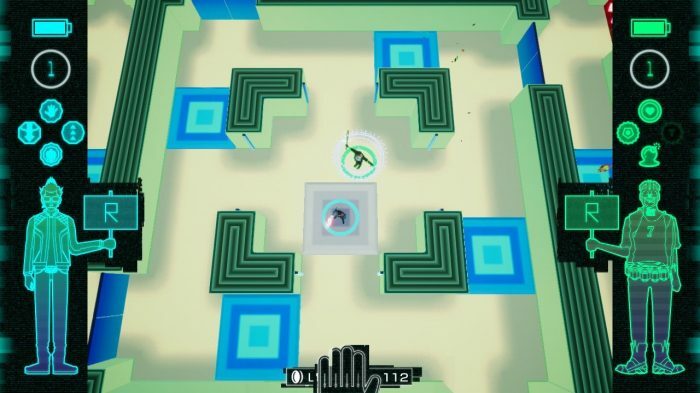 The gameplay takes this top-down view throughout. 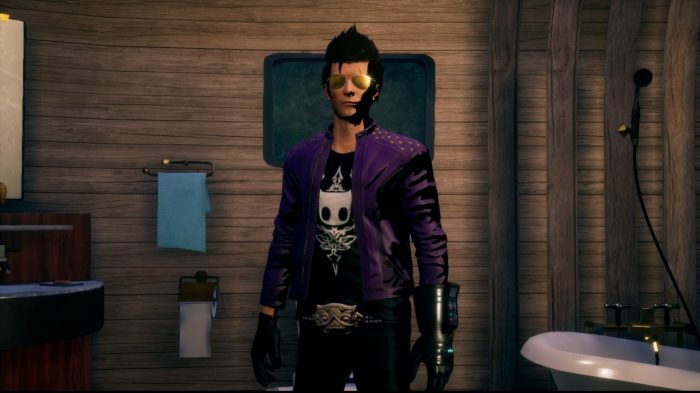 As a package that kindly pays homage to the increasingly popular rise of Indie’s, Travis Strikes Back will please fans of the No More Heroes universe but only those who aren’t expecting a proper sequel to their beloved franchise. Is top down hack ‘n’ slash the way to go? Maybe, but it’s best kept for the spin-offs. In its ten or so hours of gameplay, Travis Strikes Again throws up a messy concoction of minigames within a loose ‘main’ game that gets worse as you progress. It makes you wonder what the direction developer Grasshopper Manufacturer wanted to take with this spin-off. It’s clearly evident they didn’t know either.